ARE ALL INTERNATIONAL BANKS HONEST? We trust banks with our life savings and our hard earned money. We trust their advice and buy their bonds and shares. We appoint them as trustees and escrow holders of our funds. We borrow from them and mortgage our homes and assets to them. More recently, we trust their investment advice and let them manage our portfolios. We respect bankers and listen, with awe, to their opinions about the economy and the world. But, do they deserve all this trust? Honesty, integrity and reliability are the premises upon which banks’ existence rest upon. Historically, banks began with a “promise”. They received one person’s money and promised to pay it to another specified person, somewhere else, after a specific period of time. That was their beginning, and by keeping their promises, they flourished and added more and more services. So basically, banks are not supposed to steal your money which you deposit in their coffers. But that is far from the full meaning of honesty, integrity and reliability. They must not overcharge or double charge customers, must observe regulations and laws, alert customers to any unfavorable conditions or terms in their transactions, etc. They have to act as the ever-ready boy-scouts, helping little old ladies cross the street. Many banks continue to uphold the highest levels of integrity and honesty, but many don’t. It is shocking to note, that many of the biggest and richest banks have been hit by huge fines by regulators as well as law courts, for abuses of their positions as trustees of peoples’ money. But strangely, they continue to exist and flourish and are not shunned by their customers! One would expect that once a bank is caught red-handed in breaking the law or the trust of a client, its reputation would drop to zero, and customers and depositors would rush out of the doors in droves with their money, or what is left of it. But no, they pay their astronomical fines and continue to operate as usual. Are people stupid? Or are they naïve? Or are they as sloppy and negligent as the condemned banks themselves, in which case, they probably deserve what they get. Luckily, we haven’t heard of any serious lapses by the GCC banks, but for further information on fines and penalties imposed on some foreign and international banks, see… here … and here … and here … and here … and see the US data base of complaints against banks! If this is the case, then why do we continue to keep our petrodollars in foreign banks? The answer is simple: There are no Arab banks big enough to handle such huge amounts of money! Is this a Catch-22 situation, where both options are unviable? Yes, if we don’t do anything about it. We need to reassess our financial and investment strategies. Such a reassessment would entail our asking important questions like: Why do keep so much wealth in cash or semi-liquid forms? Why do we continue to store it in treasury bills and bonds? Why do we nimble at equities and buy small stakes, rather than conduct outright takeovers or buy controlling interests? 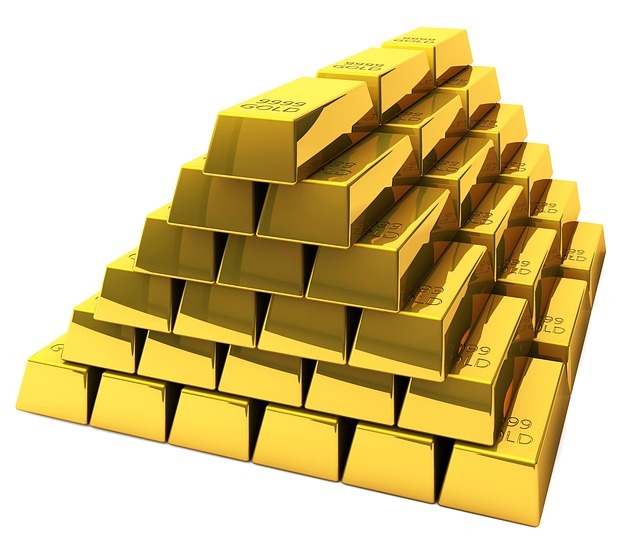 How much gold and other precious metals do we own, and is it enough? And of course, why don’t we establish dozens of huge Arab banks to handle our liquidity? The world economy continues to wobble, and the risk of a major financial collapse is increasing. The GCC declared foreign reserves may be anywhere between US$ 1.5 – 2 Trillion, plus whatever is undeclared. Add to that the private funds, and you end up with a colossal amount of wealth. We need to protect it from any major catastrophe, especially as future oil revenues do not seem optimistic. Previous Previous post: An Oil Freeze? So What? Next Next post: Either a Job or a Salary!